Jeff chairs the Firm’s Construction & Design practice group and is also a member of our Business & Commercial litigation practice group. He has tried or arbitrated more than 20 cases to verdict or award. His clients include publicly-traded companies, several of America’s largest private companies, and small businesses. 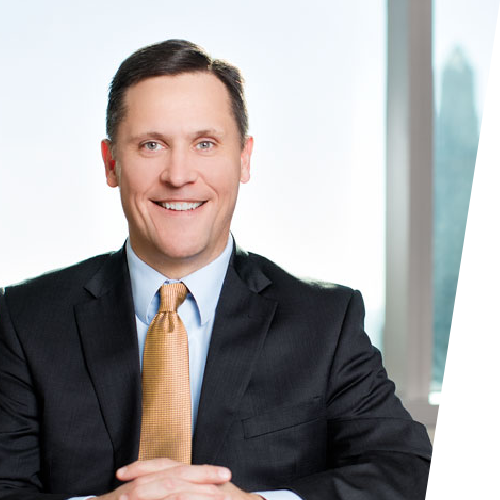 In addition to trying and arbitrating a wide variety of construction disputes, Jeff has also tried several commercial, professional liability, and premises cases to verdict or award. These matters included: successfully prosecuting a claim in bankruptcy court to assume executory supply contracts worth more than $500 million, obtaining a complete defense verdict for a publicly-traded mortgage company in a $50 million breach of contract action, and successfully defending an international hotel franchisor in a premises liability action in which the plaintiff sought more than $1 million in damages. Jeff serves as a mediator and arbitrator and is a member of the American Arbitration Association’s National Panel of Construction Arbitrators. Served as lead counsel for EPC contractor and surety in Miller Act action brought by excavation subcontractor seeking additional compensation for work performed on project at military base in Georgia. After completing targeted discovery and defeating claimant’s motion for summary judgment, successfully negotiated nominal settlement. Served as lead counsel and successfully defended architect and engineers in arbitration arising from roof renovation of domed sports arena in South Dakota. Design-builder sued clients and sought $1.2 million in damages arising from alleged design errors. Design-builder dismissed all claims and paid clients’ fees after third day of hearing. Served as lead counsel and successfully defended EPC contractor in arbitration arising from design and construction of oil-gas hydrocracker at Utah refinery. Mechanical subcontractor sought $12 million in damages for alleged delays, disruptions, and productivity losses. Initially obtained dismissal of suit, which was filed in Utah federal court, based on venue-selection clause in subcontract notwithstanding Utah statute that invalidated such clauses. Then, pursuant to parties’ agreement to resolve dispute via expedited arbitration and two-week evidentiary hearing, subcontractor obtained $3.6 million award, which was within range of acknowledged liability and less than final settlement offer. Served as lead counsel and successfully defended design-builder in lawsuit arising from construction of Oklahoma food processing facility. Owner sought $850,000 in damages for alleged design and construction defects. Client was awarded summary judgment on all claims, plus its attorney’s fees and costs. Served as lead counsel and successfully defended EPC contractor in action brought by mechanical subcontractor in Texas state court seeking damages for disruptions and productivity losses on refinery project in Oklahoma. After completing investigation and case analysis, successfully negotiated nominal settlement at mediation. Served as lead counsel and defended lawsuit brought by residential homeowner against multiple parties, including our client, which manufactured windows, alleging more than $2.2 million in damages due to alleged construction defects and failure of building envelope. After developing evidence that performance of windows exceeded specifications and contractor did not properly install windows in accordance with manufacturer’s guidelines, successfully negotiated favorable settlement at mediation. Served as lead counsel and defended engineering firm in multi-defendant personal injury action arising from collapse of dust collector system in industrial facility in St. Louis. Upon completing investigation and early assessment, successfully negotiated settlement of claims against client for nominal amount. Plaintiff later obtained jury verdicts against remaining defendants that collectively exceeded $2.5 million. Served as lead counsel and successfully defended regional grocery store chain in several jury trials throughout greater Kansas City area. Successfully litigated a variety of matters before state and federal courts throughout the United States. Beumer Corp. v. ProEnergy Servs., LLC, 899 F.3d 564 (8th Cir. 2018); Oyler v. Hy-Vee, Inc., 539 S.W.3d 742 (Mo. Ct. App. 2017); Baker v. NNW, LLC, 2015 WL 12843831 (W.D. Mo. 2015); U.S. ex rel. Trinity Indus. Servs., LLC v. Federal Ins. Co., 2014 WL 794000 (M.D. Ga. 2014); CMH Mfg., Inc. v. Hensel Phelps Constr. Co., 2014 WL 897341 (W.D. Tex. 2014); U.S. ex rel. Nowak Constr. Co. v. Liberty Mut. Ins. Co., 2013 WL 6017154 (D. Kan. 2013); Brahma Group, Inc. v. Benham Constructors, LLC, 2009 WL 1065419 (D. Utah 2009); Cargill, Inc. v. LGX LLC, 2007 WL 527725 (E.D. Penn. 2007); Hills Pet Nutrition, Inc. v. Nutro Products, Inc., 2005 WL 5932647 (C.D. Cal. 2005); Ellefson Plumbing Co. v. Holmes & Narver Constructors, Inc., 143 F. Supp. 2d 652 (N.D. Miss. 2000); In re Fleming Cos., Inc., 2004 WL 385517 (Bankr. D. Del. 2004); Hernandez v. Hardage Hotels I, LLC, 1999 WL 233323 (D. Kan. 1999).